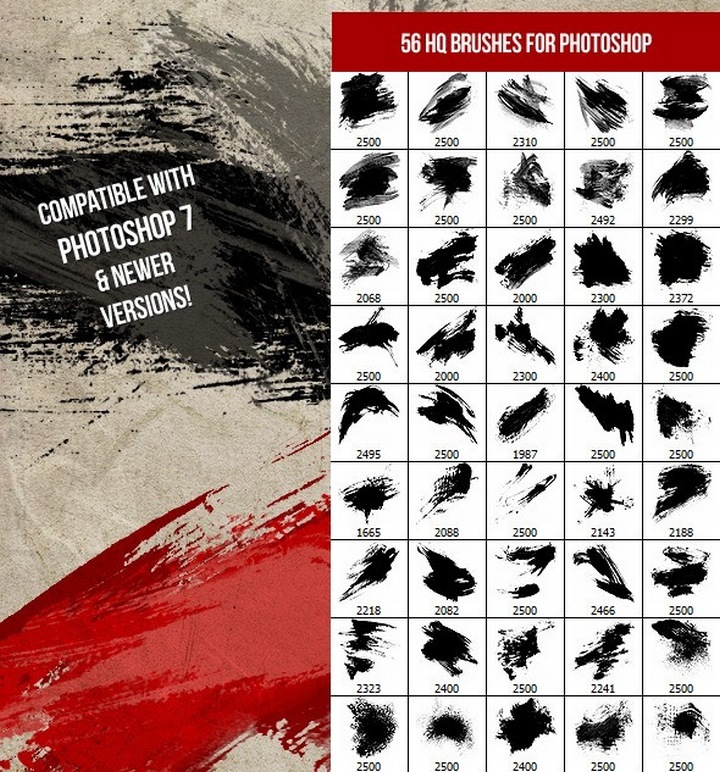 Professional designers and digital artists are always in the search for better and high-quality Photoshop brushes. Because let’s face it, the default brush library of Photoshop is only suitable for amateurs. If you’re one of those professional designers looking for a unique brush set to add to your collection or finally complete that new design project you’re working on, you came to the right place. 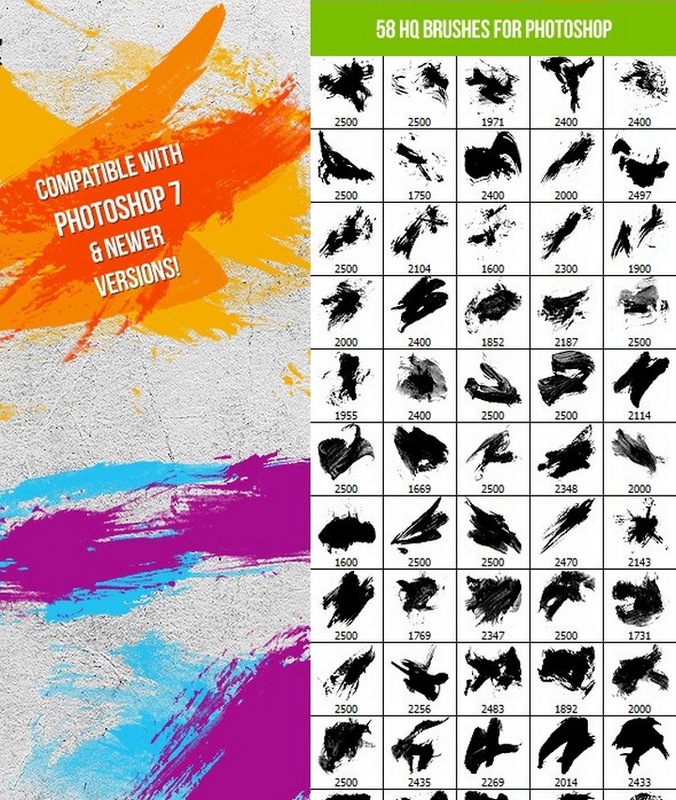 We hand-picked 33 unique Photoshop brushes just for you. 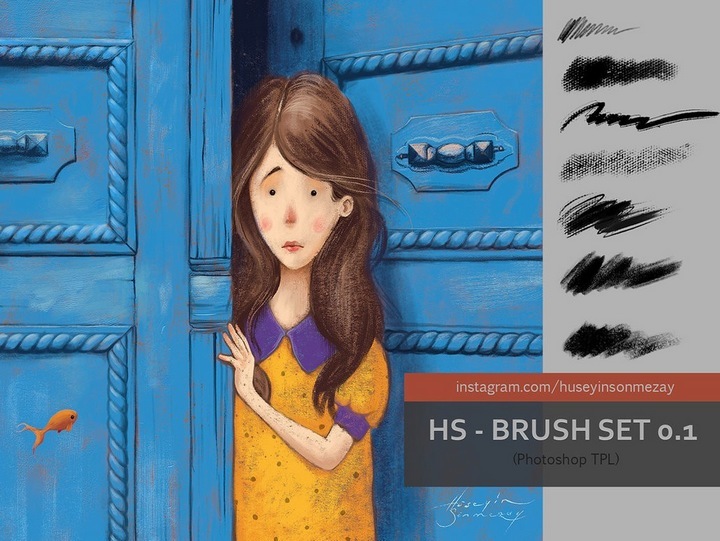 Whether you’re a digital artist working on a drawing or a graphic designer working on a wedding photo album, you’ll find different types of Photoshop brushes in this list suitable for everyone. 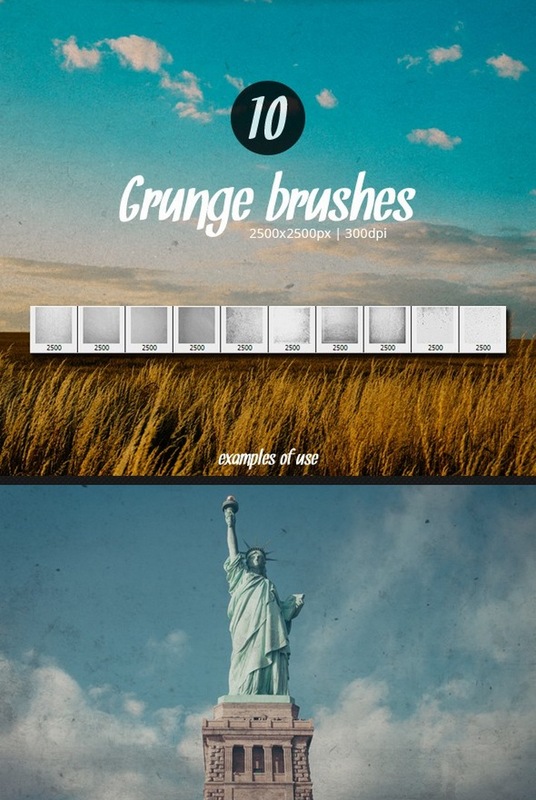 This is a set of vintage style brushes that will help you achieve that perfect grunge and retro style effects for your photos and illustrations. 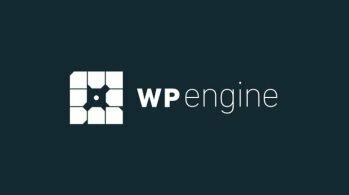 It can be used for styling text, backgrounds, logos, and more. It’s a set of 10 brushes. A set of 29 unique brushes that will turn your text, graphics, and logos into 8-bit retro designs. These brushes are also ideal for creating patterns. They will work with most versions of Photoshop as well. This brush set will be useful to illustrators for easily designing scenes and backgrounds. 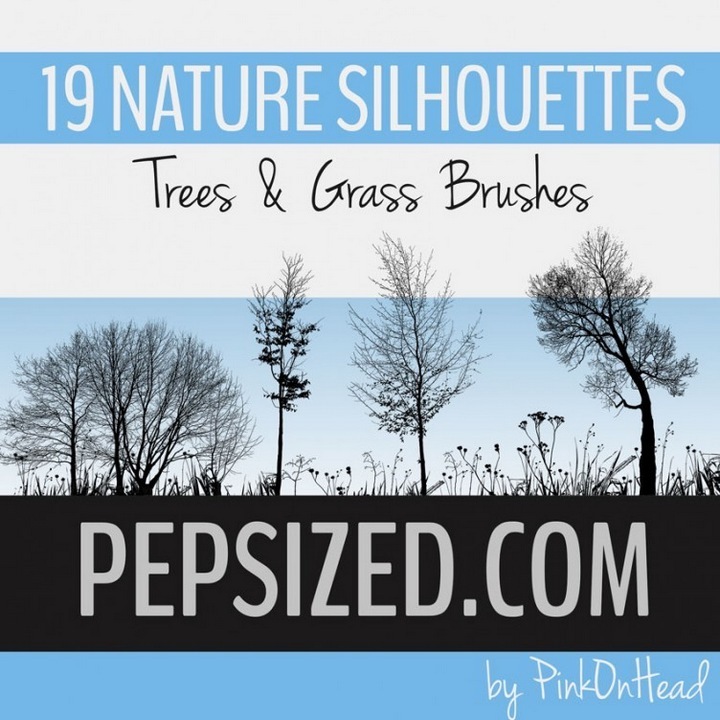 The brush set features 19 brushes of trees and grass. It comes with two files compatible with Photoshop CS6 and older versions. 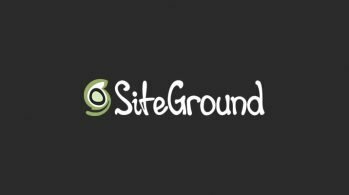 When it comes to quality, nothing beats premium plugins. This premium brush set features 40 unique halftone brushes that are ideal for your poster, flyer, photo manipulation, and other designs. Poster and banner designers know how popular the shattered glass effect really is. 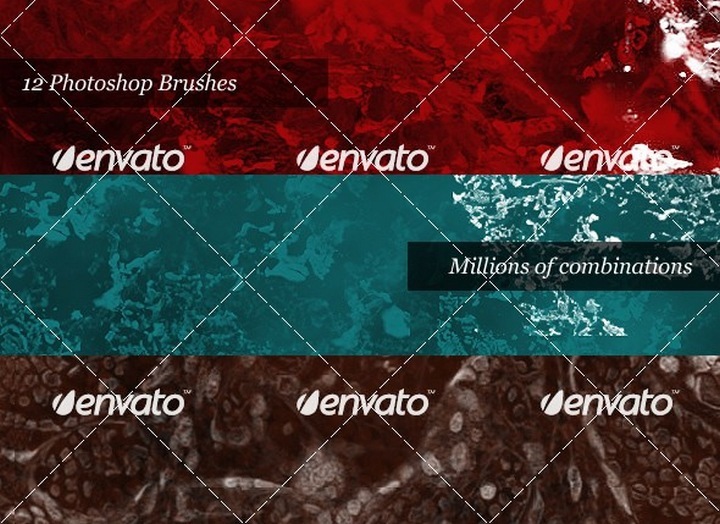 This is a set of free brushes that will help you get that same effect on your designs. It comes with 12 different brushes with 2500px x 2500px resolution. This brush set is designed to give a natural dust particle effect to your photos and graphic designs. It features 15 brushes. 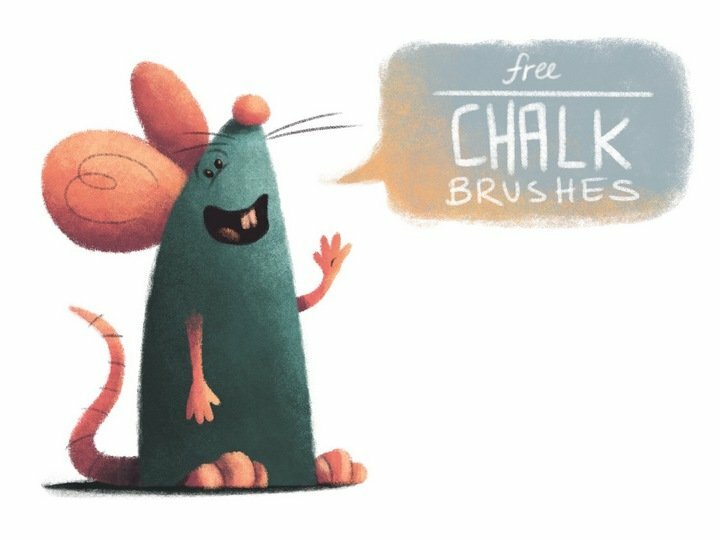 For illustrators and artists who design artworks using Photoshop, this brush pack is a must-have. It features over 50 original watercolor and painting brushes at resolutions of up to 2500px. The brushes will also work with Photoshop 7 and all new versions as well. 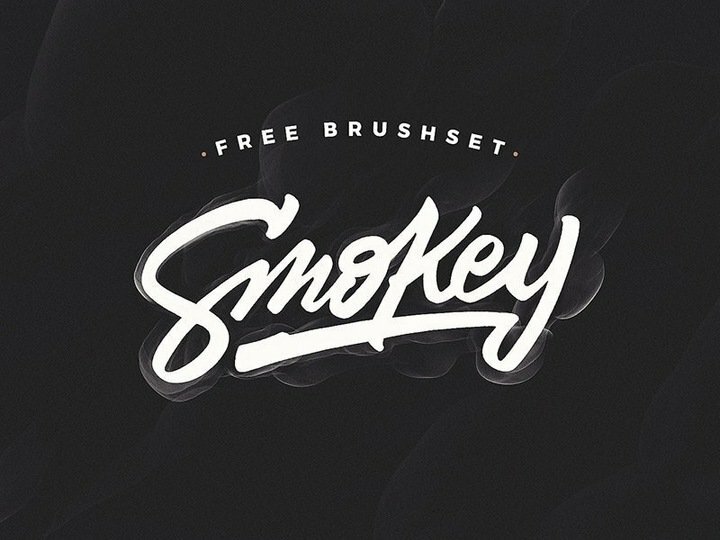 A set of unique brushes that create a realistic smoke cloud effect. 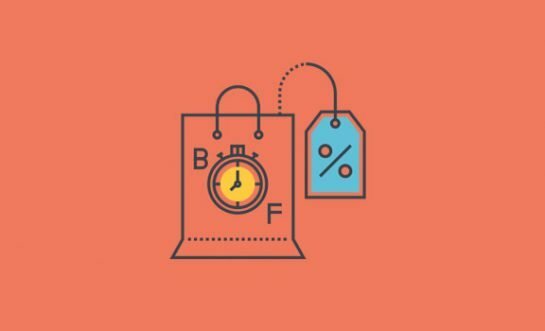 It seems ideal for creating banners, logos, and badges. 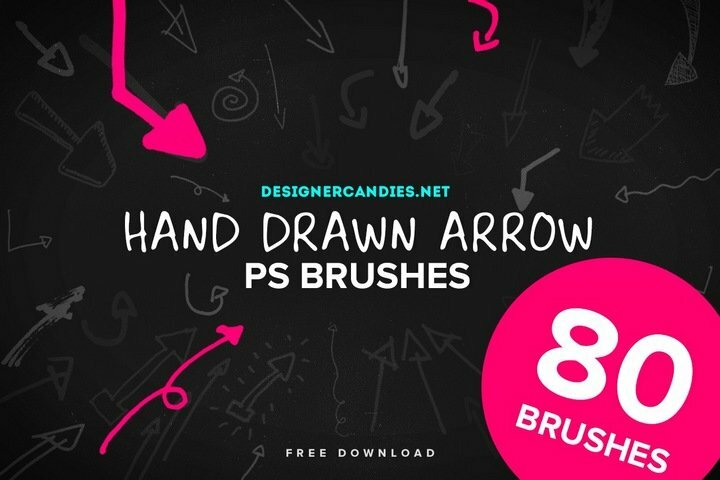 The beautiful hand-drawn arrow brushes in this set are perfect for entertaining, funny, and any kids related graphic design. It comes with 80 brush designs which you can use for both personal and commercial designs. 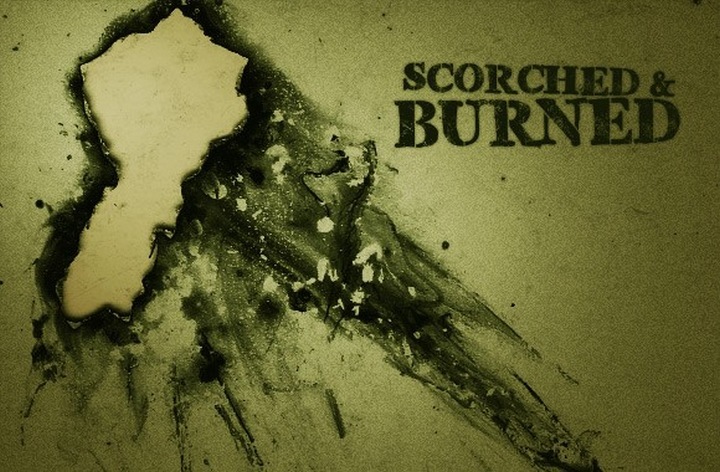 Give your designs and artworks a gritty burned effect using this brush set that comes with 10 brushes featuring different types of burned effects. 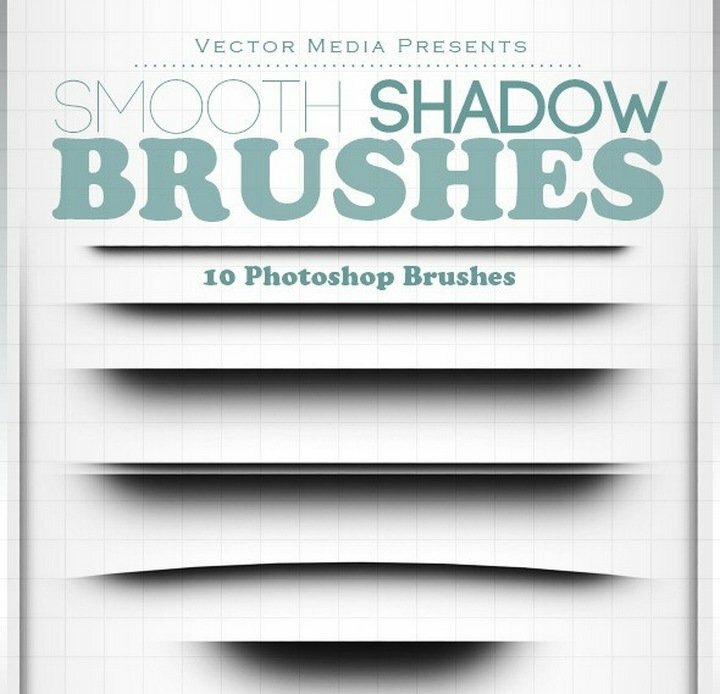 Add smooth shadows to your product designs and mockups using this easy-to-use brush set. It comes with 10 professionally designed brushes with up to 2000px resolution. The brushes in this set will help you give that old, rusted, and aged effect to your designs and illustrations. It includes 30 brushes with up to 5000px resolutions. This brush pack includes a set of Photoshop brushes that feature a natural blend of ink and water effect for creating smudges and swipes. 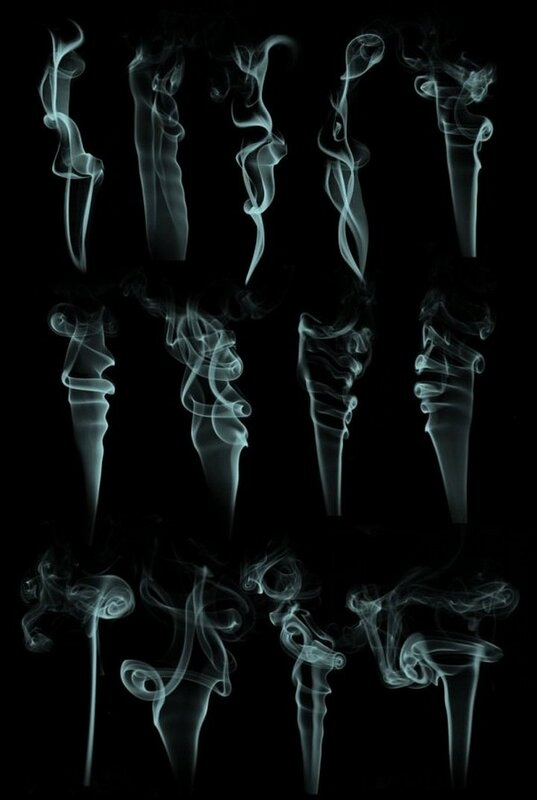 Another set of unique smoke effect brushes for designing creative designs. This set comes with 13 brushes, each with its own original design. 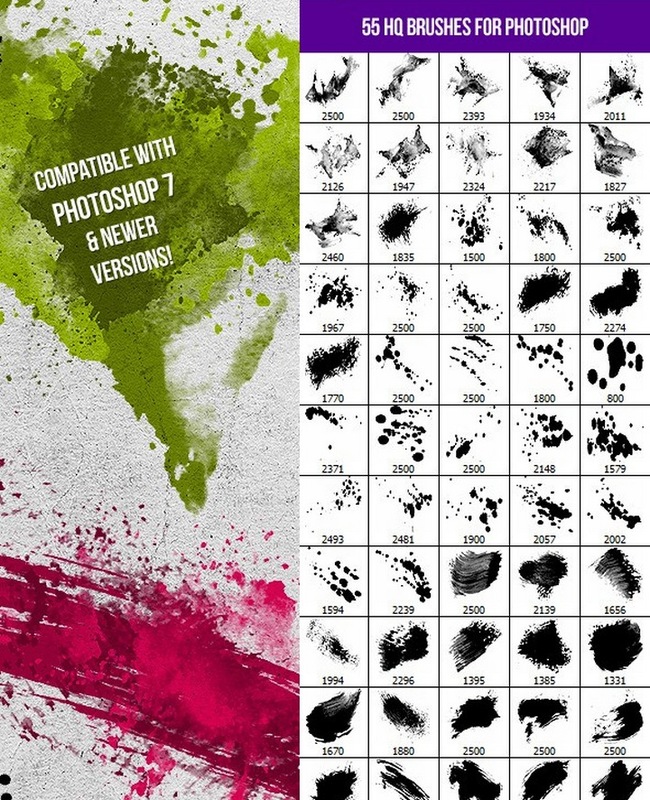 Splatter and smudge brushes are commonly used when creating backgrounds and blending. The 55 brushes in this set will help you create as many designs as you like, especially when designing posters, business cards, and even T-shirt designs. This brush pack is specifically designed for digital artists. 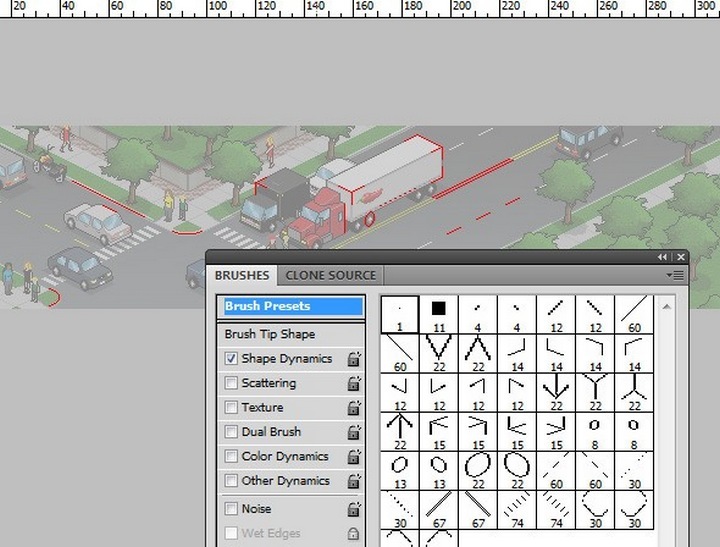 It features dozens of useful brushes for drawing and designing unique artworks. 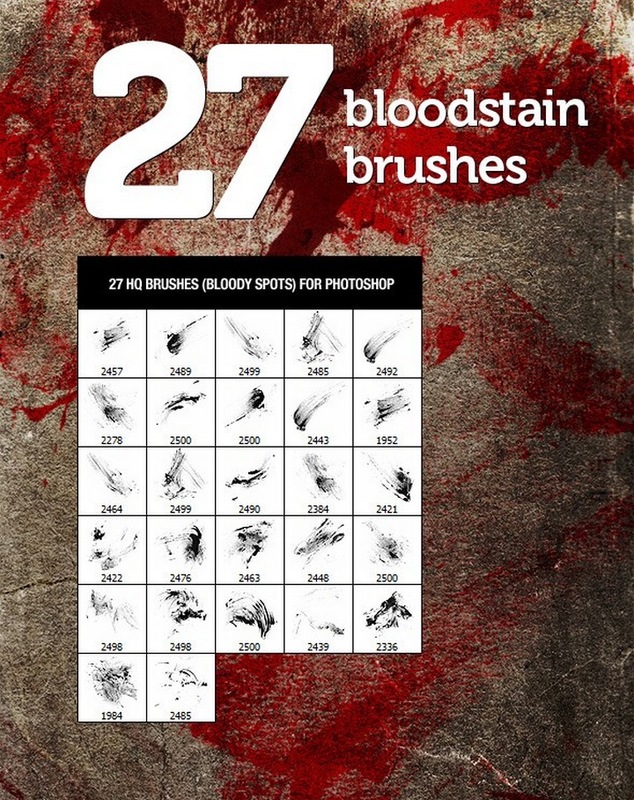 Another useful brush set for illustrators and artists. The brushes in this pack are designed to help you make your art look like they were drawn on a canvas. 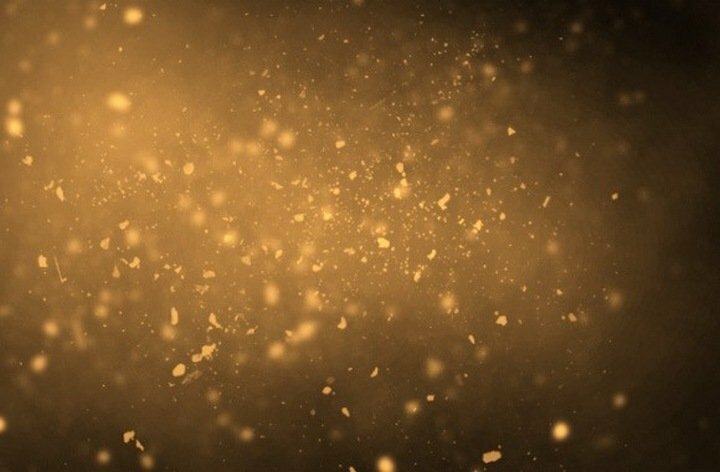 A set of high resolution brushes for adding beautiful and glowing stars to your designs. This set features 6 brushes with different star designs. This brush pack will come in handy for poster and banner designers for giving a gritty effect to the artworks. It comes with 27 unique brushes with intense designs. 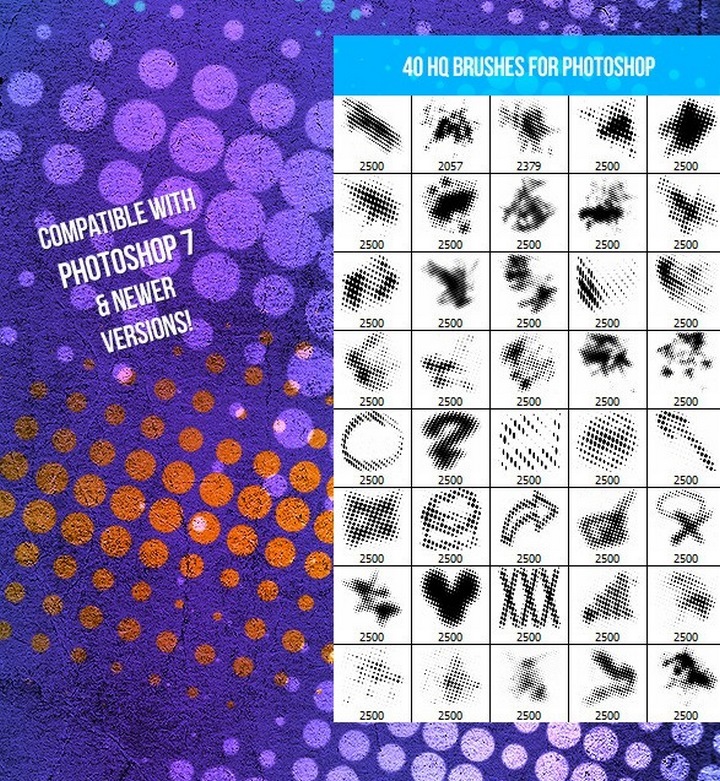 If you’re a fan of pixelated art, this brush set will prove much useful to you. 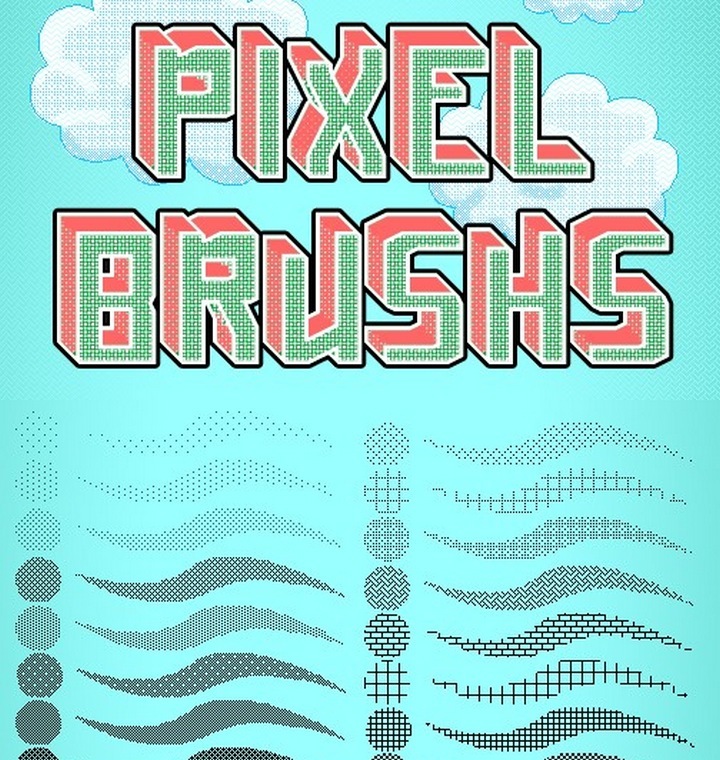 The brushes in this pack are created for digital artists who works with pixel art. 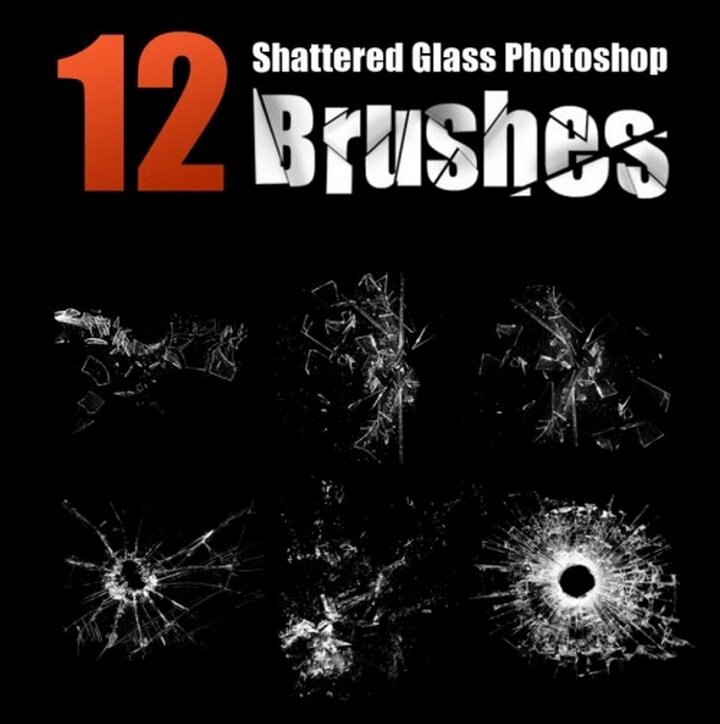 The 12 unique texture brushes in this pack will help you design beautiful worn out and grunge style backgrounds for your posters and website designs. A set of brushes for digital character artists. The brushes in this pack have been handpicked by a digital artist and it even includes sample images of the brush designs. These beautiful brushes will help you achieve the perfect charcoal effect in your designs. 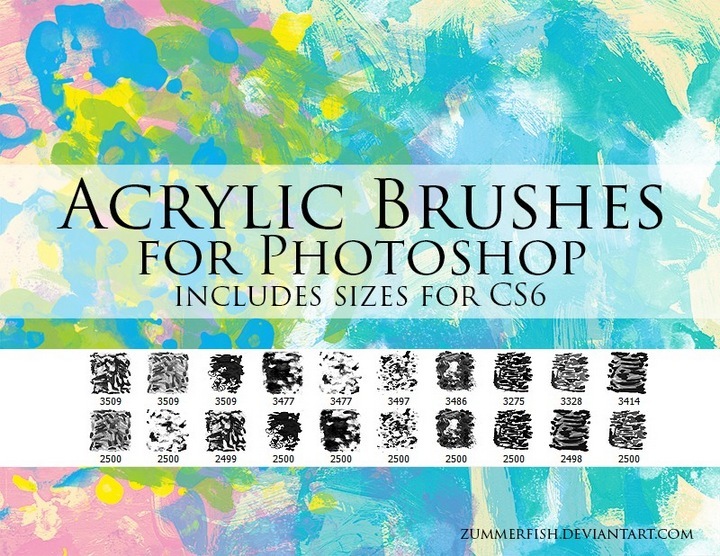 The artists used Photoshop CS6 to design the brushes, but they might work with older versions as well. 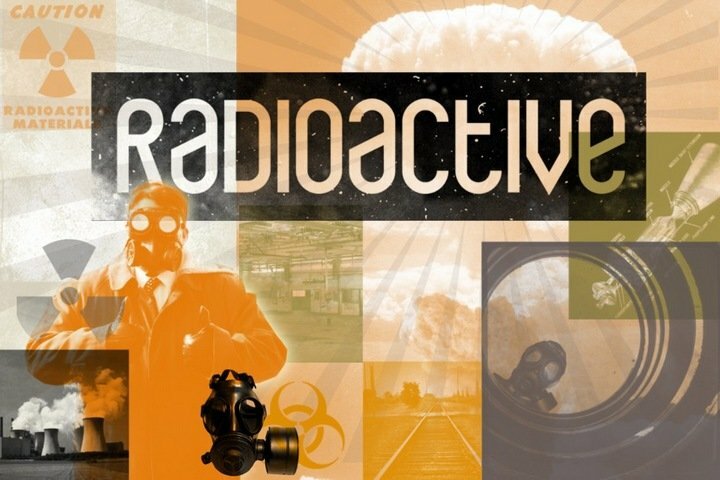 Give your photos and designs a post-apocalyptic look using these radioactive brushes. 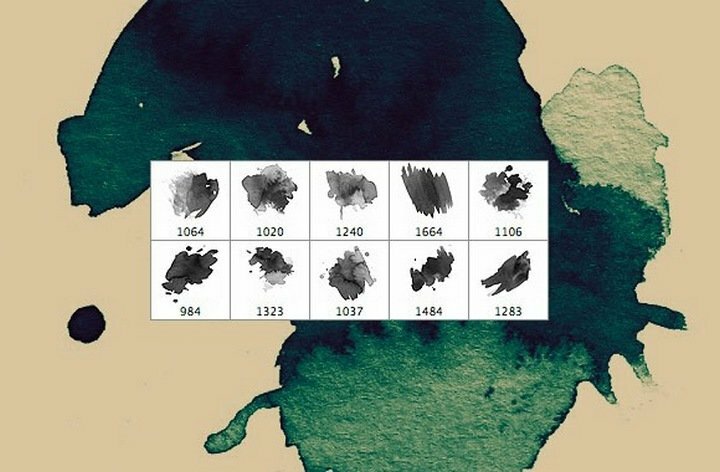 You can use these brushes for your personal projects. 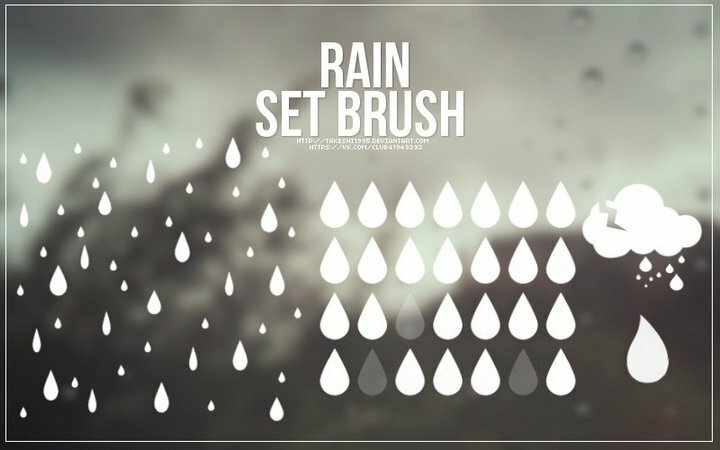 This brush set will make things easier for you to add a rain effect to your designs. It may not help achieve the most realistic effect, but with a help of some filters and edits, you will be able to get that done as well. 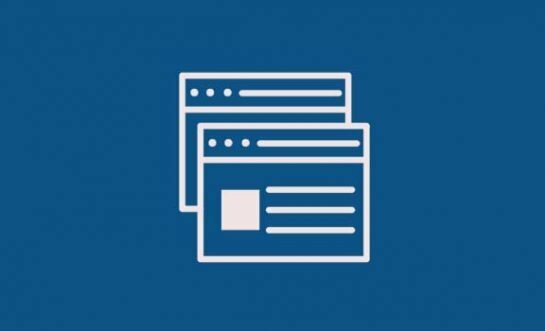 The low-poly effect is a popular trend in website background designs. 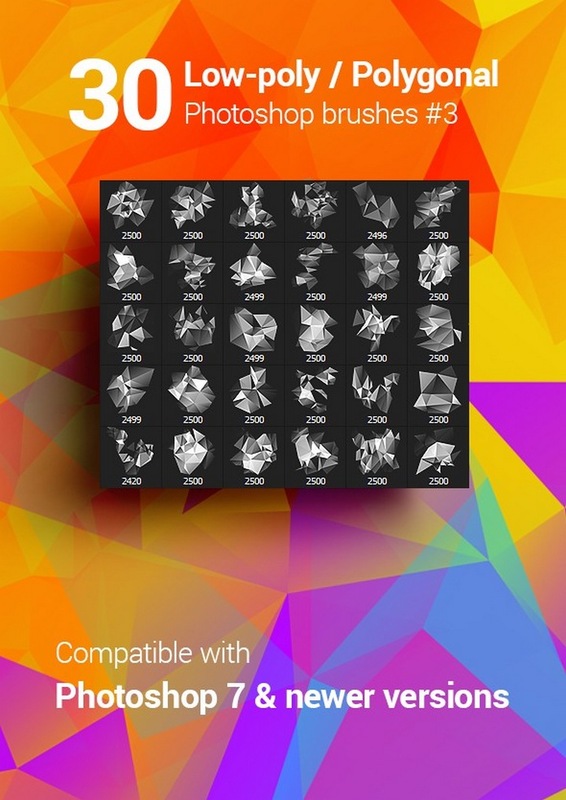 This is a brush set you can use to easily create beautiful low-poly designs, backgrounds, and patterns for your own artworks. 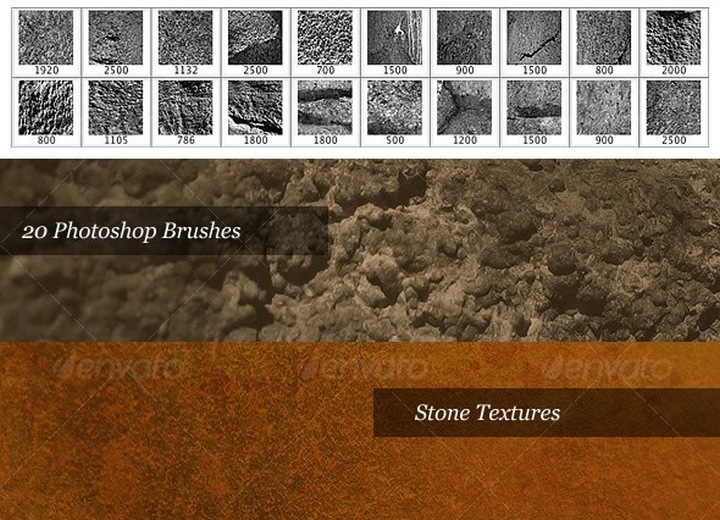 Design rock-based patterns, textures, and backgrounds using this brush set. It comes with 20 unique brushes with different designs. 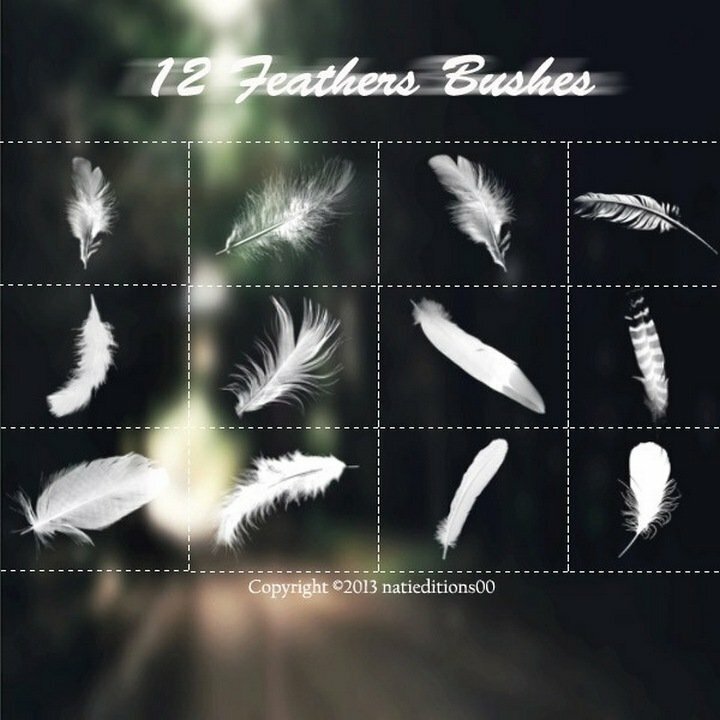 A set of realistic brushes with beautiful feather designs. 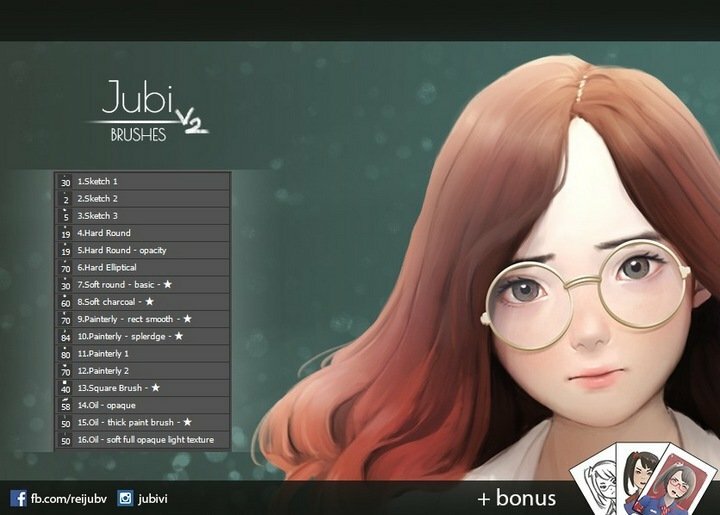 You can use these brushes for your personal projects with credits to the creator. 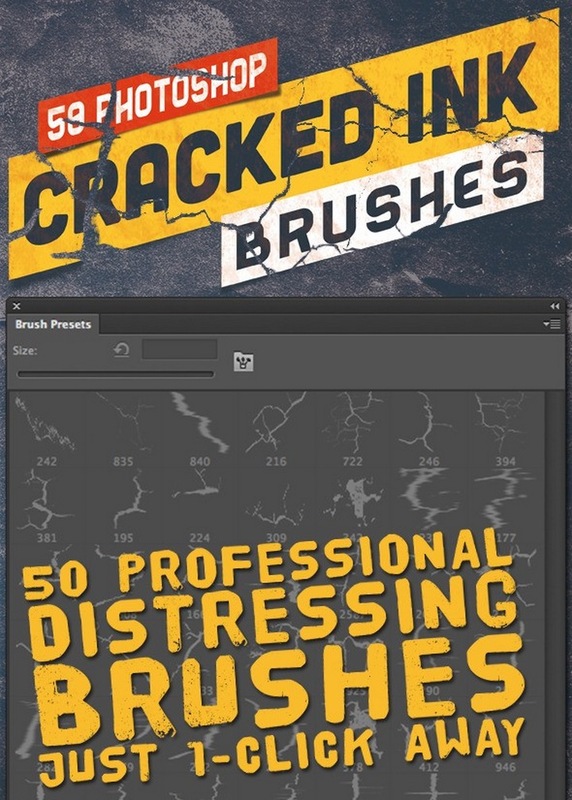 Add cracks and distressed effects to your poster and banner designs using this brush set that includes 50 original brushes with up to 2000px resolution. 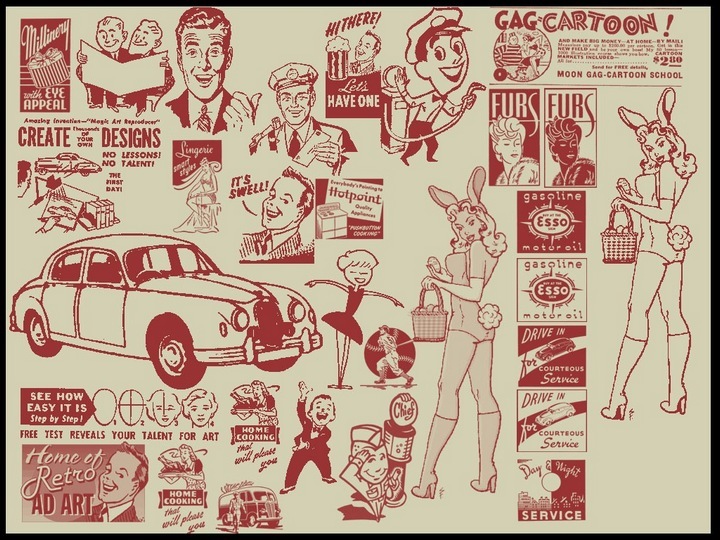 This brush set features a set of old-school retro art and graphics mostly used in old posters and advertisements. 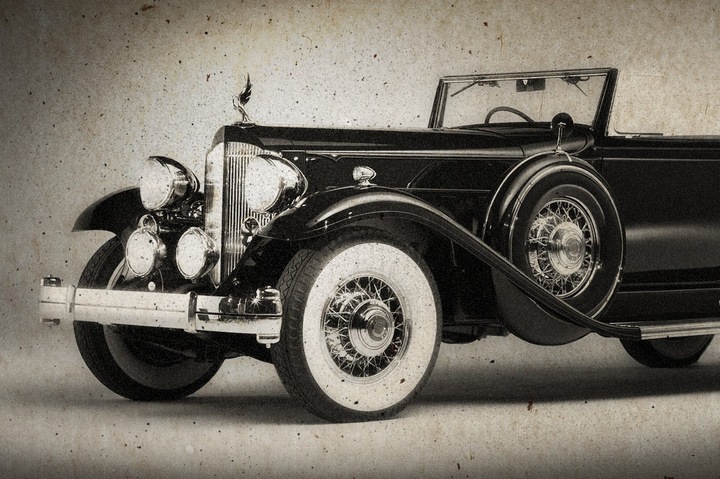 It’s ideal for vintage style designs. A set of acrylic brushes for digital artists. It includes two brush sets, each with unique brush designs for adding different effects to your designs. With this brush set, you’ll be able to turn any modern photograph or an artwork into a vintage design. 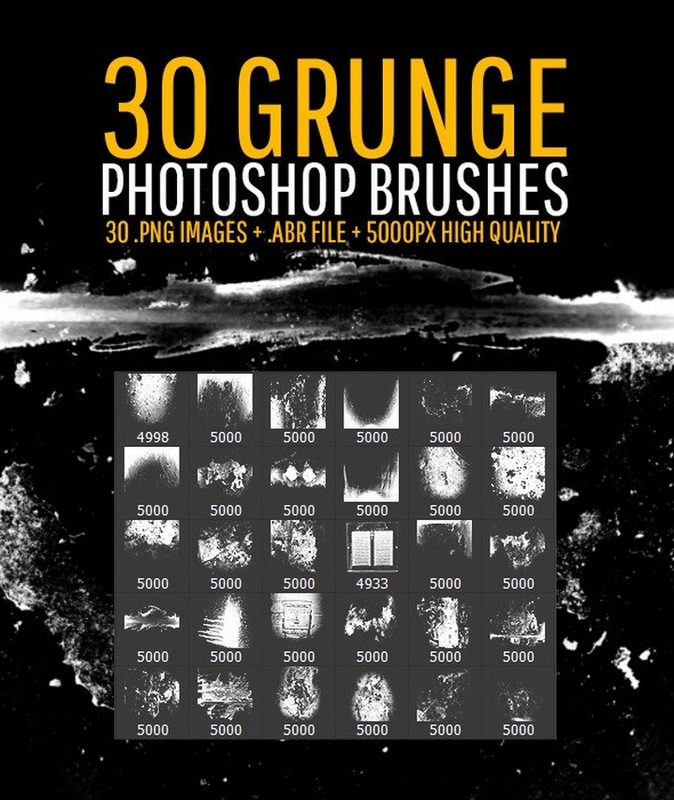 The grunge brushes in this pack will allow you to easily add a worn out aged look to your photos. This is a massive bundle of 3 Photoshop brush sets, that includes a total of 58 brushes featuring paint splashes, watercolor, and much more in modern, artistic, and grunge designs. Photoshop is a tool that can be incredibly useful if you know how to use it right. Not just brushes, but there are plenty of ways you can make the most of Photoshop. 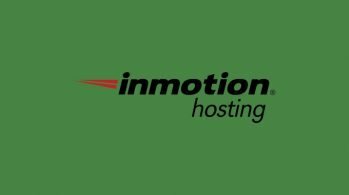 Like using Photoshop Plugins and learning to create animations. So, don’t stop here. Learn to take this software to the next level. 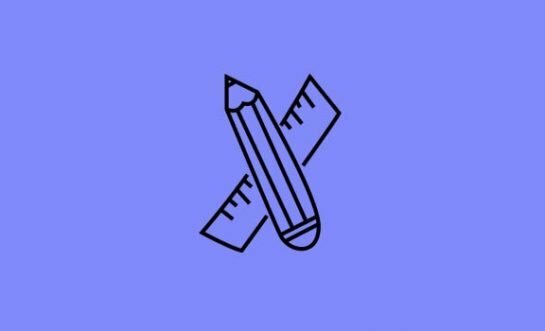 Adobe Illustrator Vs Photoshop – Which is Best for Print Projects?